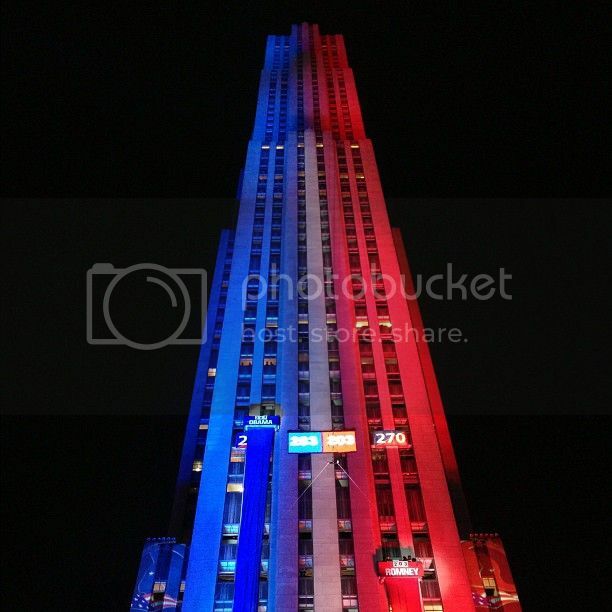 As each state was projected by CNN, a vertical LED-illuminated “meter” located atop the spire of the Empire State Building displayed CNN’s running tally of the race to 270. 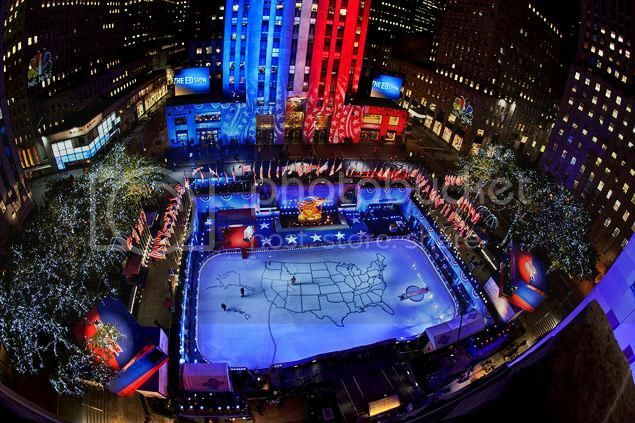 Amazingly, no one was hurt as NBC's 'Ice Team Zebra' filled in each state on the Rockefeller Plaza ice rink as the results were filed. Two window washer rigs (one red and one blue) raced up the facade of 30 Rockefeller Plaza, one each measuring Obama and Romney’s electoral college votes.